Nestle USA, our Processor of the Year, achieves a unique balance: power, money and size with a conscience. I’ve studied and written enough in a couple of different industries to have seen companies that became so huge, so global, so corporate that they collapsed under their own weight. They never seemed able to balance the power that comes with size with the dexterous touch of community involvement; the resources of global R&D with the need to leave final product development up to the locals; the efficiencies of global manufacturing and key performance indicators with the reinvestment in local plants and the empowerment of managers. You can study that balancing act at companies of varying sizes, but why not start at the top … at least in the food world. 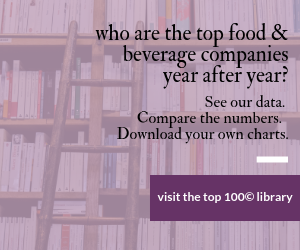 Nestle SA, which for some time has been the largest food & beverage company in the world, last year became the largest food & beverage company in the U.S. and Canada, at least according to our Top 100© report in August. Our 2009 Processor of the Year is the American food unit of that behemoth: Nestle USA. Nestle USA was built largely by acquisitions, Stouffer and Carnation being among the key ones. That makes the American unit different in some ways from Nestle companies around the world: no condiments or cooking aids here, nor powdered milk, fresh dairy products or cereals. And Nestle USA may be the only Nestle company with juices, pumpkin, nondairy coffee creamers and especially frozen and prepared foods. Nestle has made “nutrition, health and wellness” its worldwide theme. That requires a careful balancing act when you’re probably best known for ice cream and candies. Frankly, there’s no contradiction there. Enjoyment of food and moderation in all things should be foundation of everyone’s approach to healthful eating, I think. Nestle is proud to be a manufacturer of food products, not just a marketer. Case in point: It met healthy annual growth of its Nesquik ready-to-drink milks with contract manufacturers during the past decade. But growth continued so strongly that Nestle USA opened its own, huge plant to manufacture them on its own. The $500 million Anderson, Ind., plant is remarkable both because it’s the largest single capital outlay in the Swiss company’s history but also because it creates shelf-stable milk, still a novelty and technological leap here in the U.S. In an effort to rid the world of ozone-depleting refrigerants, Nestle has become a leader in the replacement of fluorocarbons with new-generation ammonia systems, including hybrid ammonia-carbon dioxide ones. Two of the world’s largest and most advanced hybrid systems are in Nestle USA Prepared Foods’ plant in Jonesboro, Ark., and in a Hayes, England, facility. It doesn’t neglect little details. This is a small footnote, but it’s probably symbolic of something bigger: After the Peanut Corp. of America scandal caused the recall of hundreds of peanut-containing products from some of the country’s largest food processors at the start of 2009, Nestle’s name was absent from that dubious list. Why? Nestle sent its own inspectors to PCA when considering it as a supplier and, despite passing grades by third-party auditors, Nestle found the company unfit. 2007 – Mars Snackfood U.S.